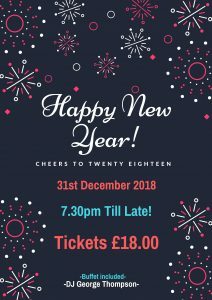 Say goodbye to 2018 and Celebrate the New Year with us. Disco Entertainment and Buffet Included. Fantastic Drinks offers available on the night. 7.30pm till late. 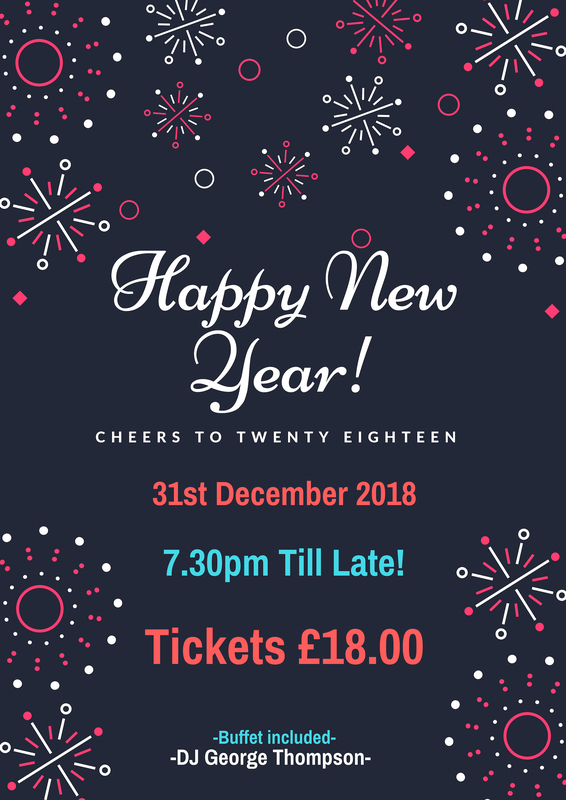 Tickets are £18 and available to buy at the clubhouse bar. Guaranteed a great night!